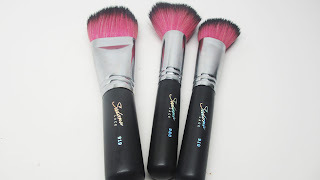 Home Unlabelled Sedona Lace Brushes Winners! Thank you to everyone for participating in last week's Sedona Lace Brushes Giveaway! Check out the winners after the jump! Congrats ladies! Email me to claim your prize by Sunday 4/28/13 at Midnight EST or it goes to someone else. FTC Disclosure: Giveaway sponsored by Sedona Lace. I am not being paid to make this post. Oh, yay! I have just contacted you through YouTube and through your Yahoo Mail account you have posted here on your blog. I hope you received them. Thank you!